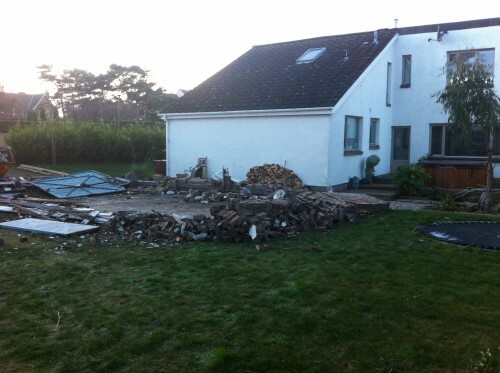 Bye bye….rather horrible old garage in the middle of our back garden that we have been wondering what to do with for 8 years – yes, 8 years – we are very indecisive. 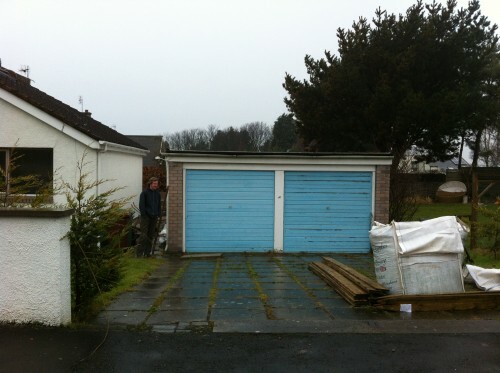 We have, in the meantime, built another garage at the front of our house and our dilemma has been – Do we knock it down? 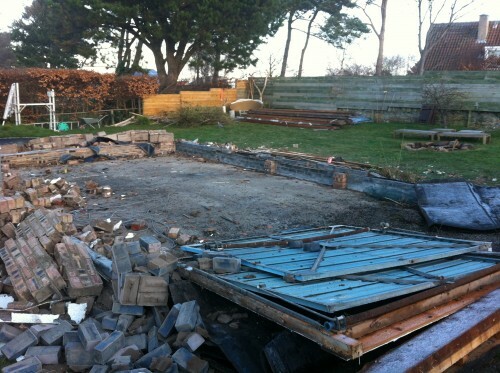 Do we line and insulate it and use it as it is?? 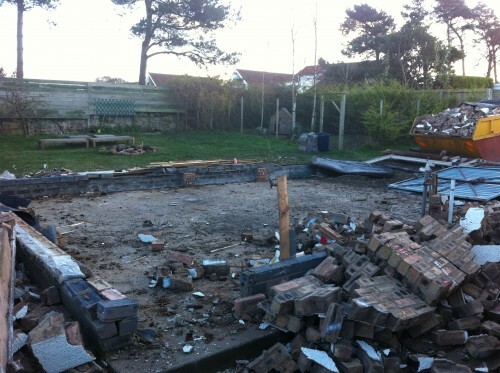 Well, in for a penny, in for a pound: we have committed to knocking it down and replacing it with a beautiful timber garden building, using the existing foundation and concrete slab as a base…we have building warrant in place and have even booked a builder, actually, he started on Monday. This is what he’s done!